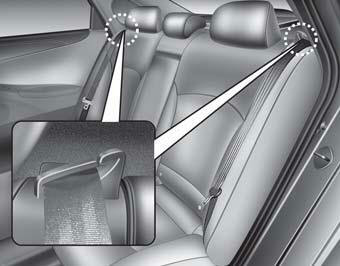 • For maximum effectiveness in case of an accident, the headrest should be adjusted so the middle of the headrest is at the same height of the center of gravity of an occupant's head. Generally, the center of gravity of most people's head is similar with the height of the top of their eyes. 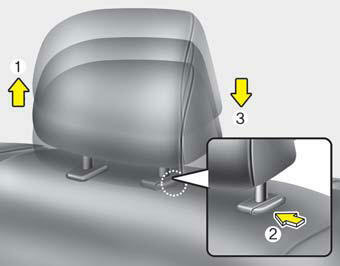 Also adjust the headrest as close to your head as possible. For this reason, the use of a cushion that holds the body away from the seatback is not recommended. 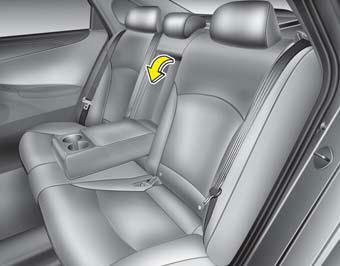 • When cleaning the seats, do not use an organic solvent such as thinner, benzene, alcohol or gasoline. 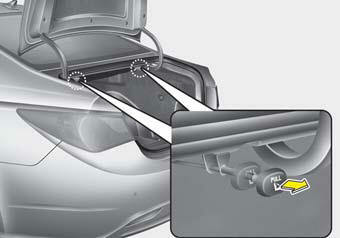 Doing so may damage the surface of the heater or seats. 6. 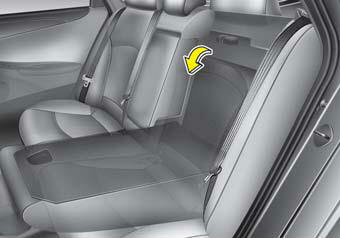 To use the rear seat, lift and pull the seatback rearward by pulling on the folding lever. 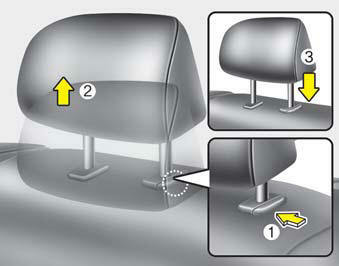 Pull the seatback firmly until it clicks into place. 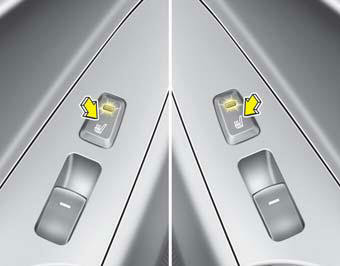 Make sure the seatback is locked in place. 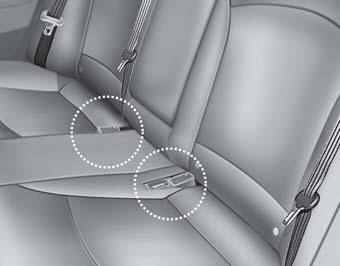 When you return the seatback to its upright position, always be sure it has locked into position by pushing on the top of the seatback.